Pat McCrory pledged several times on the campaign trail that he would have an "ethical and accountable" government, and he claimed that he would support open records laws. "You should not be waiting until a week before the election to find out who is giving to a campaign," McCrory said. "Today with computer technology it can be done much more often. I think the public has a right to know more frequently." McCrory also said he would open his daily calendar of public activities. Blah, blah, blah. McCrory has just signed HB972, "Law Enforcement Recordings/No Public Record," yesterday, allowing law enforcement agencies to keep police body camera and dash camera footage from the public unless ordered by a court. Under the new law, body camera and dash camera footage are no longer public record, and footage can only be released to people who are recorded. 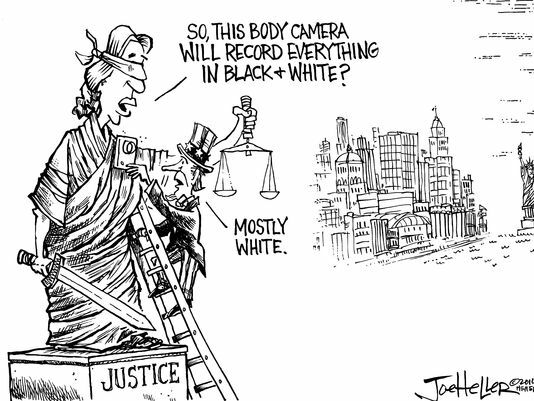 If an agency refuses, the person who was filmed must get a court order in order to view the footage. This law would require people who are filmed by police body cameras to spend a great deal of time and money in court in order to see that footage. For people in poor communities, this law essentially strips them of due process. The new law also prohibits law enforcement agencies from releasing videos of public interest to the general public other than through a court order, which directly targets news organizations. This is yet another assault on transparency and the media by the McCrory Administration. Bottom Line: Body cameras are a proven way to make law enforcement more transparent and accountable. This law stands in the way of those goals by making it nearly impossible for the public to see footage of an incident.